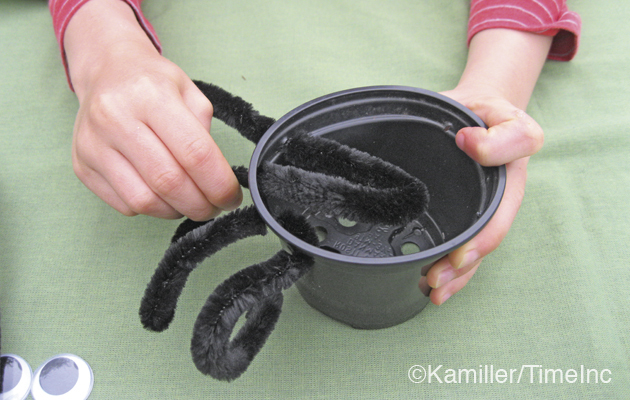 To make these Halloween spider pots, you’ll need four chunky pipe cleaners for the spider’s legs, some eyes and a black plastic flowerpot. 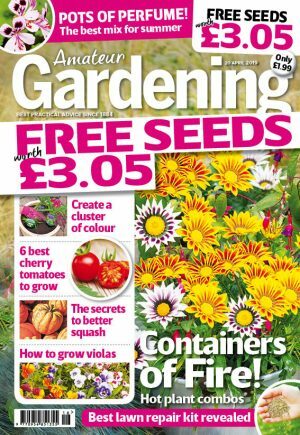 I pierced four holes in each side of the pot with a skewer, then the children could thread each pipe cleaner through two holes, which made two legs. 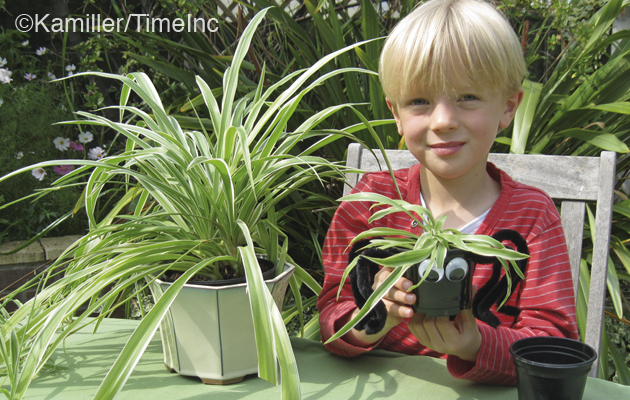 We planted a baby spider plant into our pots which had grown on a ‘runner’ from the mother plant. 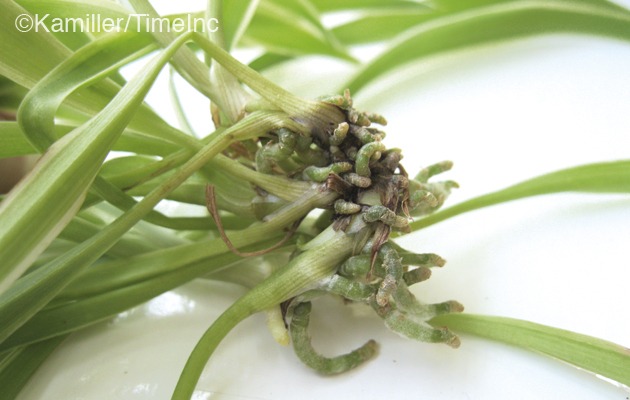 The roots of the plantlet (above) can be stood in water for a week before planting into the pot to encourage growth.